There are two way to export Pak settings. 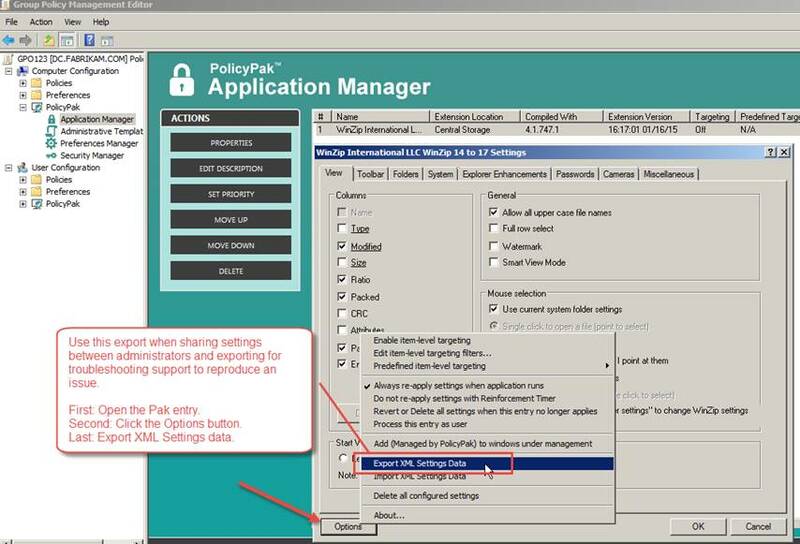 Sharing Pak settings with other colleagues (also to used and deployed within Group Policy. Exporting to be used with PolicyPak Cloud.